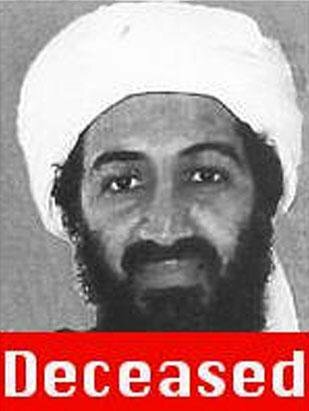 What Is The Real Significance of Bin Laden's Death? Osama bin Laden's death is of great significance to a number of different constituencies -- including the US, Pakistan and Al-Qaeda -- for a variety of different reasons. 1. US: He has been public enemy number one going back long before 9/11. That event ultimately wrote his death warrant. The US has a long memory and it will not and did not give up the chase. In addition, since George W Bush, the US has had a policy of pre-emption and extra territorial activity in that they vowed never to let an attack happen again on their mainland if at all possible; and they would strike at its roots wherever those may be. Recent examples are Yemen and Pakistan. Reaction and Retaliation: The next few days will be important for US Embassies abroad and other overt symbols of US power, as we could expect "lone wolves" to try and carry out suicide attacks or other simple shooting/bomb attacks on such properties. There will, of course, be an equal and opposite reaction at this time with such places being on the highest states of alert and almost in "lock down mode." Any major attack will take longer to plan and is dependent on the latent ability of Al-Qaeda central and major franchise groups to mount a "spectacular" -- mass casualty -- attack against an iconic US target. 2. Pakistan: That this event took place only 36 miles north of Islamabad and in a place where apparently Osama bin Laden had been resident for up to four years demonstrates the conundrum that is Pakistan. The position and role of Pakistan within the sub-continent and with its neighbours whilst at the same time trying to keep a foot firmly planted in the West -- US and UK particularly -- makes walking along a razor blade edge look easy! Note the role of the ISI, who have been at times supporting the policy of the West and particularly the CIA, when the Mujaheddin were fighting the Russians. Many of the contacts they made then are the Taliban and Al-Qaeda leadership today. They have always been allowed a long leash by recent political leaders, either consciously or unconsciously, as all with the exception of Musharraf have been wary of them. Given the whole issue of the North-West territories and the large amounts of Taliban and other fighters in those areas and elsewhere in Pakistan, and sympathisers in major cities, we would expect to see some immediate backlash against Western targets. This may continue for some time. The Pakistan army and police will react with care to allow the steam to be let off whilst trying to ensure there is no outrageous incident, which could cause huge embarrassment to them. Also up in the North-West territories the army will need to be on high alert as they must expect some attacks in anger and also the NATO led International Security Assistance Force (ISAF) in Afghanistan can expect a spike in revenge activity. The longer term relationship between the West and Pakistan will continue largely as is with help both ways as appropriate, but with the West remaining frustrated by the largely moribund government under Al-Zardari. We can expect to see a lot of shuttle diplomacy over the coming weeks largely to offer support and to thank them for their help in this matter. 3. Al-Qaeda: Al-Qaeda central has been eroded over time but Al-Zwahari as far as we know remains alive. The number #2 can be expected to make some powerful statements trying to rally the faithful to arms. They clearly still have clout and money and would like to mount a major spectacular event against the US or UK if at all possible. The question is who carries it out? Al-Qaeda franchises such as Al-Qaeda of the Maghreb and South Arabia etc are all alive and well, as are the many other groups in Indonesia, Malaysia and the Philippines, who have picked up the mantra. We assess that we can expect to see activities from them in due course. One of the interesting Al-Qaeda habits has been their returning to targets where they haven't been successful before, ie, WTC, the harbour in Aden, the hotels in Amman. One would expect them to be dusting down all the old failed targets and successful ones and having a good think where to deploy resources. In addition, given their love of public transport, aviation, trains and tubes etc, these will need to be well protected. As ever, shopping malls and hotels will be on their list as they give "very good" returns in terms of casualties and media publicity. In short, nothing changes, just a need for the security forces and police to be on a high state of alert. The lone operators similar to Richard Reed et al are all out there and can conduct small scale operations, mainly suicide led, either walk in attacks or if they have access to larger amounts of explosives, car bombs. Muslim communities across Europe: There will be some apprehension here especially if people similar to the far right BNP and neo Nazis etc start to gloat and whoop it up. In addition, amongst those communities there are a number who sympathise with Osama bin Laden and Al-Qaeda. The police and intelligence services will need to carefully monitor those communities without aggravating them. Whilst this is a major coup for the US, in reality, other than making Osama bin Laden a martyr finally, it hasn't changed the overall terrorist landscape as his work was largely done some years ago when he exported his lopsided "gospel" and it was picked up by groups and individuals all over the world including the US and UK. Of course, we can expect to see some immediate unrest and attacks mainly in Pakistan and Afghanistan against overtly US and UK targets, the longer term revenge attack against the US and UK will take some time to appear unless there is something very near to fruition now. As ever, whilst governments can take action to protect their property and staff by closing diplomatic missions and withdrawing staff for periods of time, business does not have this option and may once again bear the brunt of any attack in a public place. All they can do is ensure their staff are alert and that their contingency plans are well rehearsed. Nigel Churton, MBE is vice-chairman of Control Risks Group and has responsibility for the company’s liaison with governments, agencies and regulators; he also directs large projects and client relationships. Control Risks is a multi-national business risk consultancy, which has 20 offices around the world in 16 countries. Prior to taking up the role as vice chairman he was the chief executive officer for 17 years and prior to this was executive director responsible for the groups UK operations; spent three years based in Australia creating and developing the company’s business into the Asia Pacific region; and on joining the group was involved in the delivery and case management of services to clients dealing with kidnapping and other forms of commercial extortion. He was educated in the United Kingdom, completed an apprenticeship within the wine and spirits industry and spent 11 years in the British army where he specialised in intelligence and counter terrorism activities. He has lectured extensively around the world and had many articles published in international, national and trade media on security, political stability and criminal activities of all types. He is a director of the Chester Race Company, a freeman of the city of London, the immediate past Master of The Worshipful Company of Distillers, a member of The Guild of Security Professionals, a member of the Board of Directors and a past president of The International Security Management Association (ISMA), a member of The Council of The Security Institute (TSyI) and is a member of The American Society of Industrial Security (ASIS).